Is your hot water heater giving you some trouble? Thinking of replacing your hot water heater? Do you need your hot water heater repaired? Do you need your hot water heater replaced? These are some questions you may be asking yourself. If you answer YES to any of the questions below, you may be in need of a hot water heater replacement or a hot water heater repair. Is your hot water heater not making enough hot water? Is your pressure-relief valve leaking on your hot water heater? Are your hot water heater supply pipes leaking? You may just be in need of a hot water heater repair. Our plumbers have the knowledge and experience to diagnosis your hot water heater problem. In today’s economy, why spend money on something you may only need a repair on. 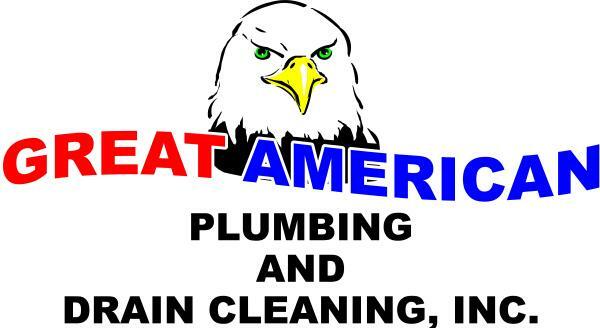 The helpful and honest plumbers at Great American Plumbing will help you determine whether your hot water heater needs to be replaced or repaired. Your hot water heater may have reached its life expectancy. If you choose to repair your hot water heater or replace your hot water heater, or you are just not sure, give us a call and we will gladly help you. Take advantage of our money saving coupons and save more on your hot water heater repair or hot water heater installation. Call us today, before your hot water runs out! Our service includes repairs and replacements of all hot water heaters for your home. Heating your water is an important part of your family’s daily needs. Having a failed hot water heater can cause nothing but an inconvenience for you and your family. Our plumbers furnish and install all types of hot water heaters. They will help guide you in deciding what hot water heater is best for your home and budget. Our plumbers are highly qualified, professional plumbers and make sure your hot water heater is brought to code.